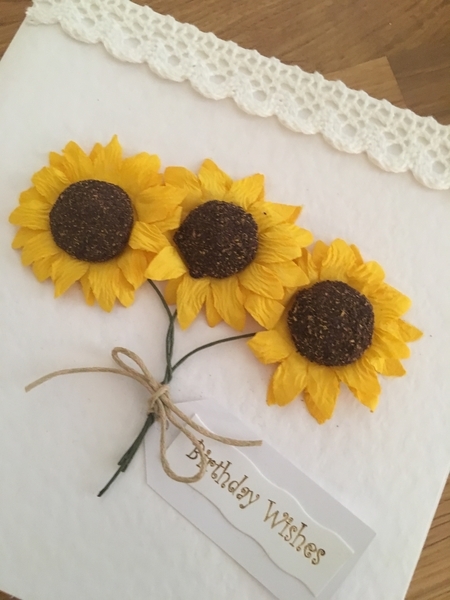 Beautifully handmade Birthday card to send to someone special. Made with 300gsm lightly textured card measuring approximately 15 x 15cm. 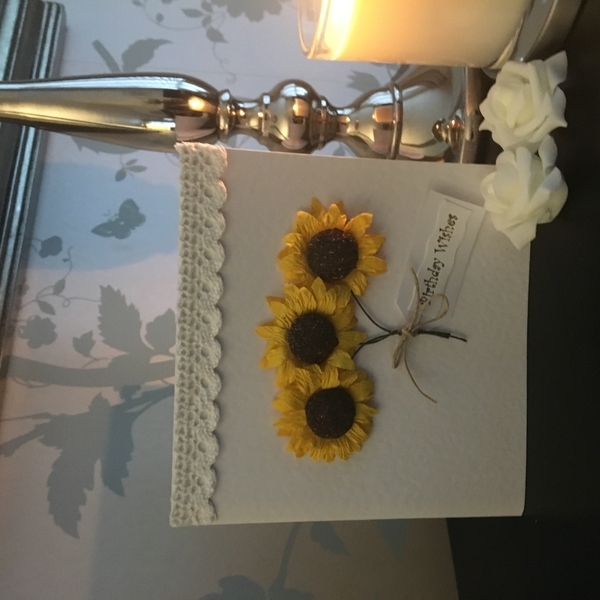 Each card will be made to order and decorated with lovely lace and paper sunflowers. The card will be lined with good quality iridescent pearl inserts for you to add your own special message and will include a white envelope. Got a question? Message Linsey's Pretty Designs. Each card will be securely packed and protected by cellophane wrapper and sturdy outer packaging to ensure you receive in perfect condition. 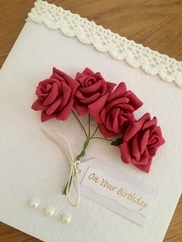 Beautifully handmade Birthday card to send to someone special. CARD Made with 300gsm lightly textured card measuring approximately 15 x 15cm. Each card will be made to order and decorated with lovely..